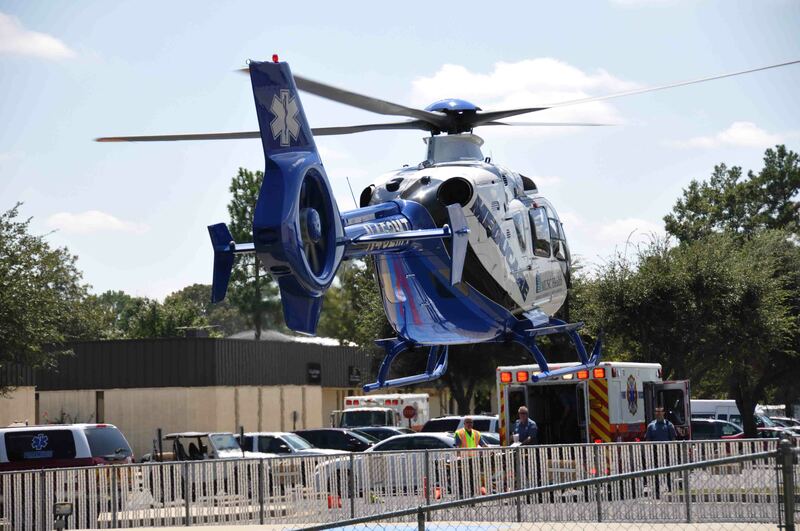 An adult male was flown to a Trauma Center after being electrocuted and successfully resuscitated Wednesday afternoon 28-September. The contract worker was performing work at the SCE&G power plant located at 13139 Augusta Highway at 13:24. He inadvertently came into contact with some electrical equipment and was electrocuted according to a witness at the scene. Click here for more information. 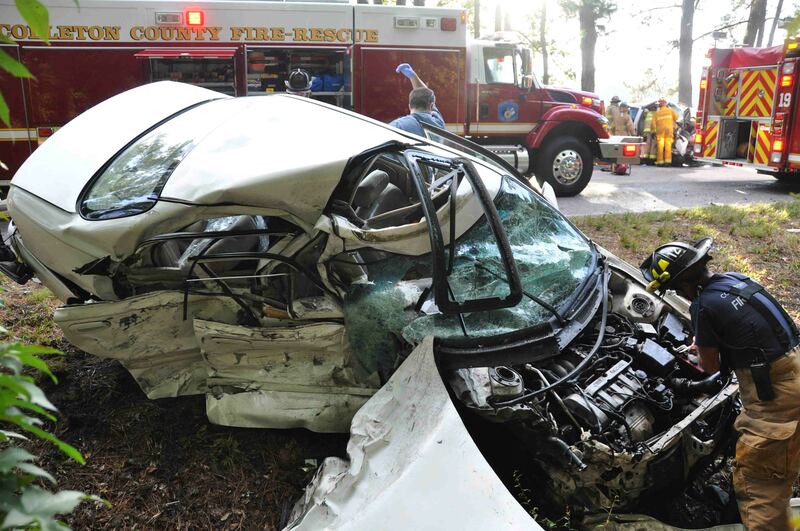 One man lost his life and two other people were injured in a two car, head-on collision in the 3300 block of Charleston Highway (SC Hwy 64) Tuesday morning 27-September at 08:03. 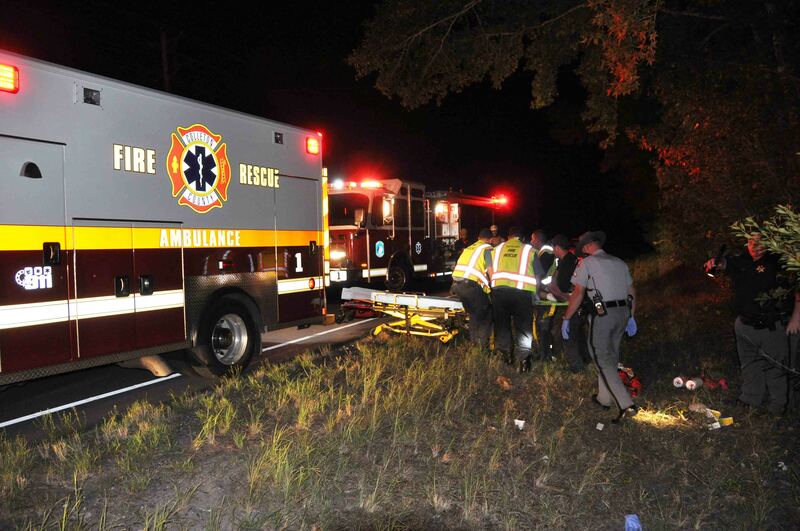 The accident occurred in a curve, approximately 2 miles east of Walterboro. An east bound Ford Pickup truck collided with a west bound Mazda causing heavy damage to both vehicles. Click here for additional information. 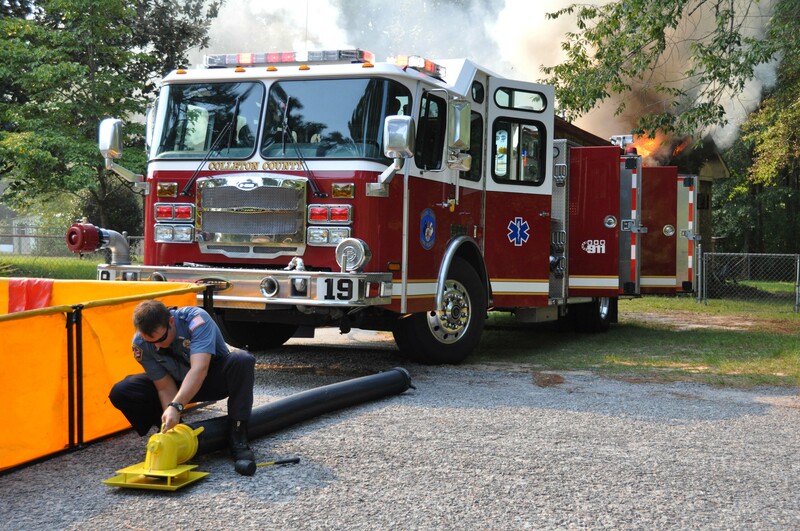 Fourteen Colleton County Firefighters, with one Firefighter from the City of Charleston, one from Hilton Head Fire-Rescue and two from Dorchester County attended the two day SC Fire Academy Municipal Approach to Aircraft Firefighting this past weekend. The classroom portion was held Saturday at Station # 19 with the practical evolutions conducted at the Fire Academy in Columbia on Sunday. Click here for more information. 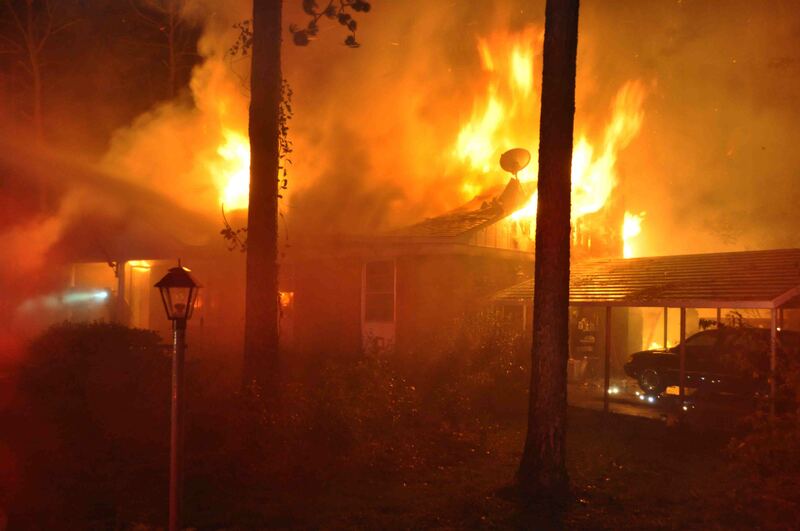 An Augusta Highway family lost their home after a lightning strike Sunday evening 25-September. 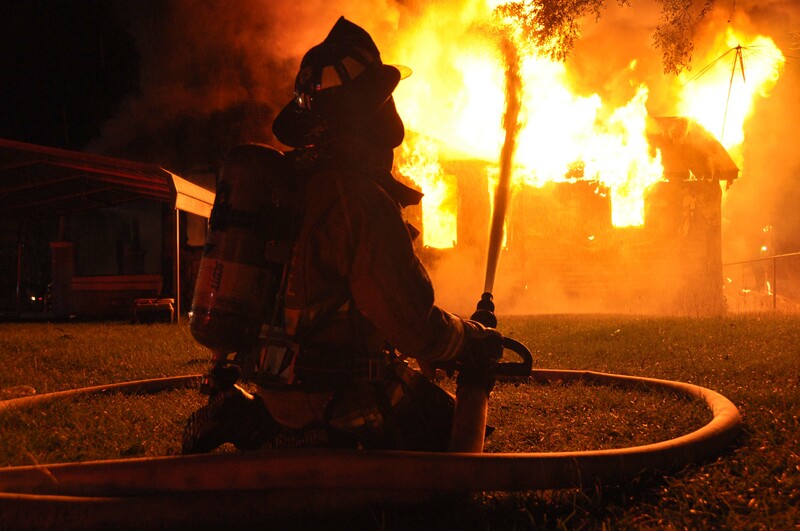 At 19:37, during a heavy thunderstorm, lighting struck the residence at 3690 Augusta Highway, knocking out several electronic appliances in the home. Shortly thereafter, family members smelled smoke and discovered flames coming from the roof of the century old home. Click here for additional information. 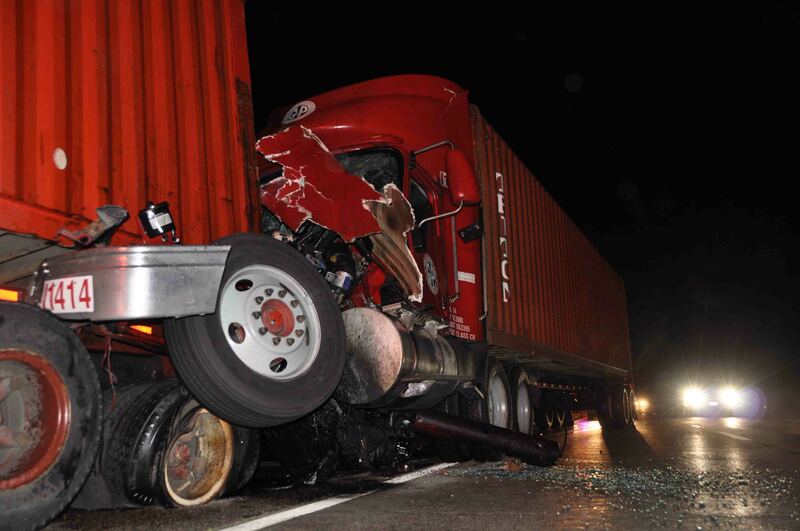 Two northbound tractor trailers collided on I-95 at 05:51 Friday morning 23-September. The accident occurred when a northbound truck with an empty container ran into the back of a slower moving truck that was hauling axles. The second truck was traveling just below the speed limit, so the impact caused massive damage to the rig. The front of the truck drove under the trailer of the first vehicle...click here for more information. 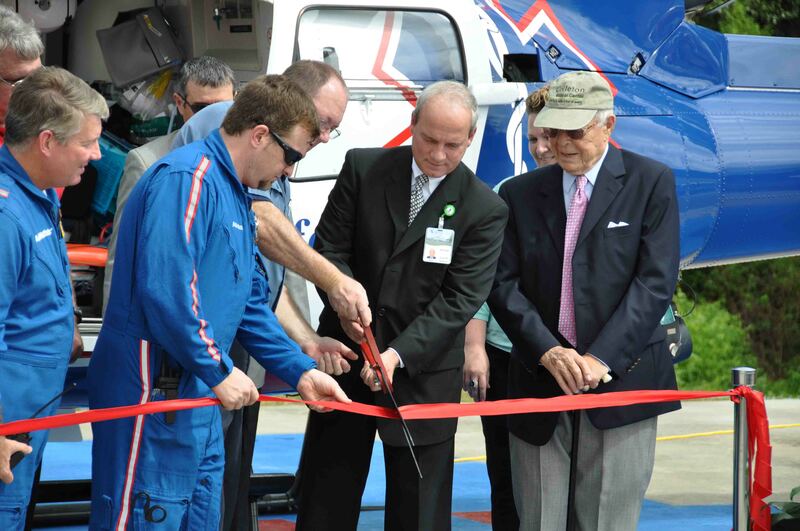 Air Methods Corp / Lifenet conducted a Ribbon Cutting Ceremony to announce the opening of Lifenet 4, a new medical helicopter base in Colleton County. 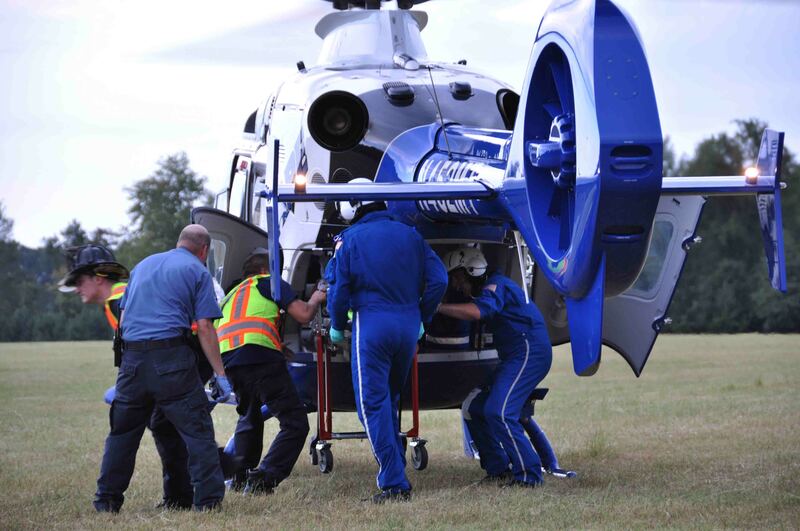 The Astar helicopter will be stationed at Colleton Medical Center which is centrally located in Colleton County. The base will operate 24/7, consisting of a crew of three; Pilot, Flight Nurse and Flight Paramedic. Click here for additional information. An unattended trash fire spread to a camper, two metal storage buildings and a car port behind 2628 Brick Road Monday, 19-September at 1709. 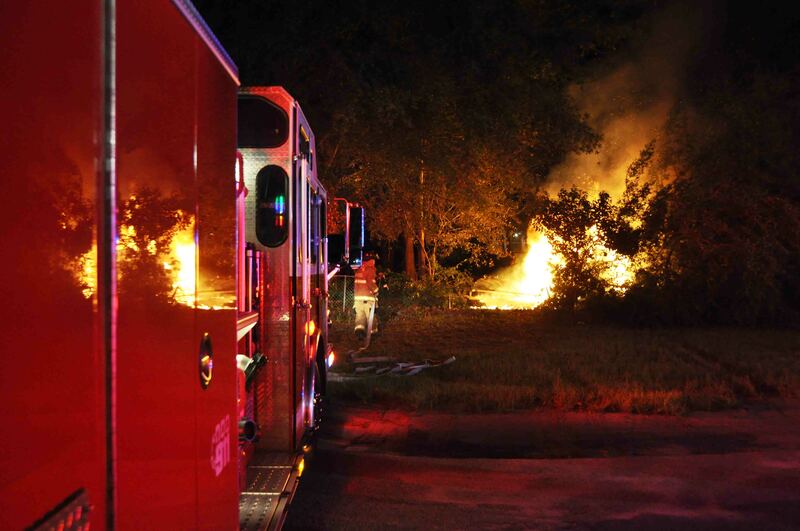 Engine 31 arrived to report a fully involved camper and two well involved 12x12 storage buildings. 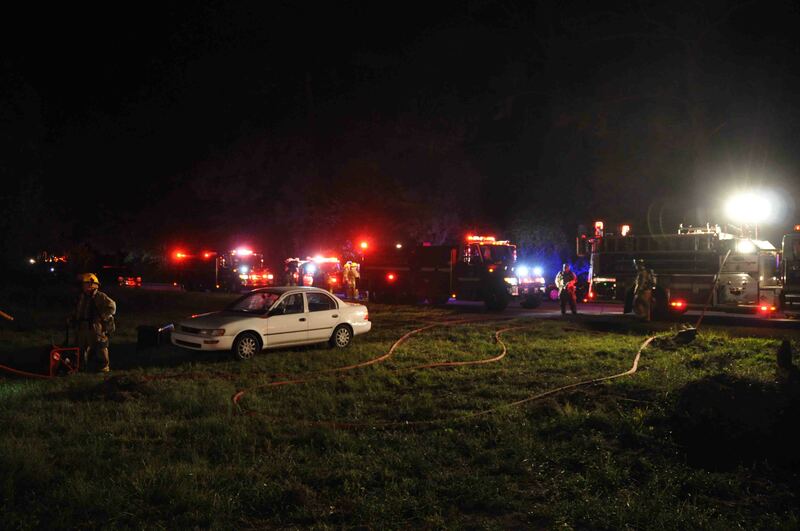 The fire had also consumed several items under a car port and extended into a wooded area behind the sheds. Click here for additional information. A single car MVC has left one man in critical condition. Fire-Rescue responded to a single car MVC at the intersection of Augusta Highway and Sidneys Road, commonly referred to as Gruber’s Crossroads, Saturday evening 17-September at 21:20. Witnesses reported the vehicle was traveling northbound on Sidneys Road at a high rate of speed, when it failed to stop at Augusta Highway. Click here for more info. A single motorcycle MVC has left a 21 year old man in critical condition. 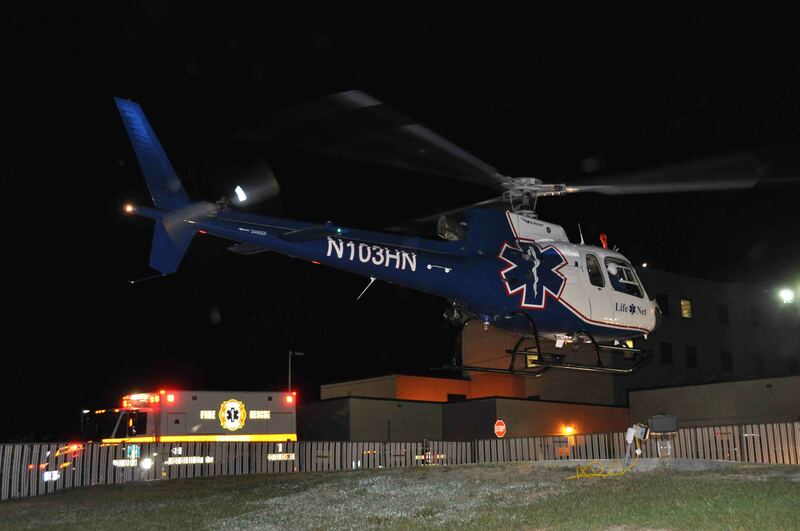 The accident occurred on Sniders Highway near Brick Road at 02:07, Saturday morning 17-September. The west bound Suzuki motorcycle lost control in a curve near Brick Road, resulting the driver falling from the bike which was traveling at a high rate of speed. The driver slid in the roadway, then down the shoulder...click here for more information. Lifenet cordially invites you to attend the Grand Opening Ceremony for LifeNet 4 at their new base, located at 1 Medical Park Drive, Suite 148 (Colleton Medical Center in Walterboro). Festivities including lunch being served on the grounds of the hospital, will be from 11:00 to 15:00 Wednesday 21-September. Please join us in welcoming a new and vital service to Colleton County. A single car MVC resulted in two people being transported to the hospital Wednesday night 14-September at 20:59. The southbound vehicle left the roadway resulting in the car striking the cable barrier in the median. The car became wedged between the cables, preventing the doors from opening. The male passenger was able to exit the car through a window, but the female driver was unconscious. Click here for more information. A motorcyclist suffered multiple traumatic injuries after his Harley Davidson collided with a small car in the intersection of Jefferies Highway and Augusta Highway at Canadys Crossroads, Wednesday afternoon 14-September at 17:08. 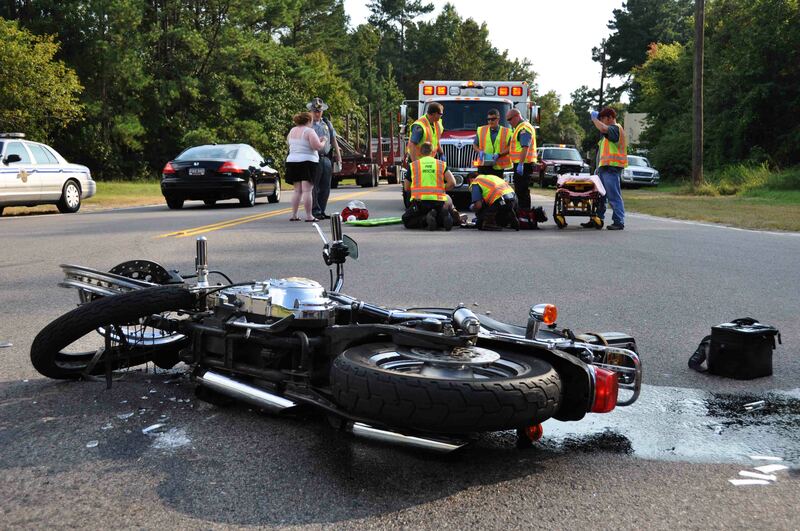 A witness advised the Harley Davidson motorcycle was traveling southbound on Jefferies Hwy when it struck a small car broadside, after the car pulled into its path. Click here for more information. 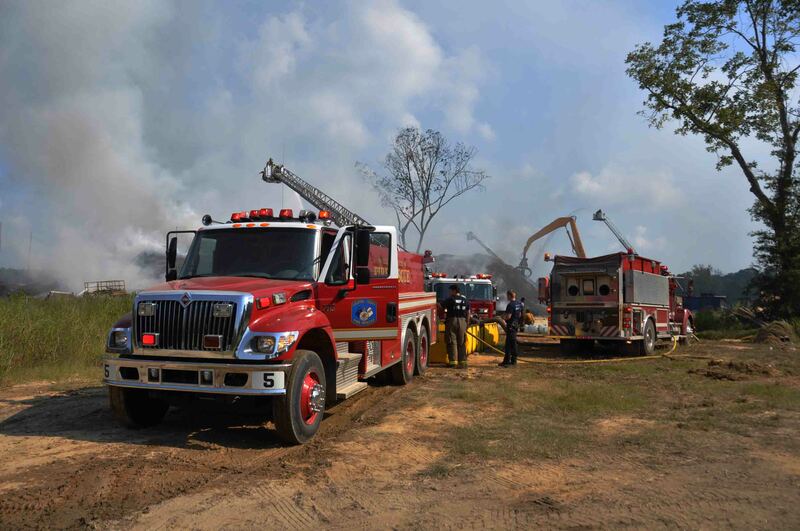 At 07:55, Colleton County Fire-Rescue received a request from Orangeburg County Fire Department requesting assistance with what was already an eight alarm fire at Don’s Car Crushing located at 1193 White Sands Road in Holly Hill. Contact was made with the Incident Commander on scene at the fire to verify the resources needed. Click here for additional information. We offer condolences to Firefighter-Paramedic Bryon Eadon and his family on the death of his grandfather. John Wesley Fralix, 87, of Saint George passed away Wednesday 14-September. Visitation will be held at Bryant Funeral Home in St. George on Friday evening, 16-September from 17:00 to 19:00. Funeral services will be held at St. George Baptist Church at 11:00 on Sunday, with the burial being conducted at St. George Memorial Gardens immediately following the service. 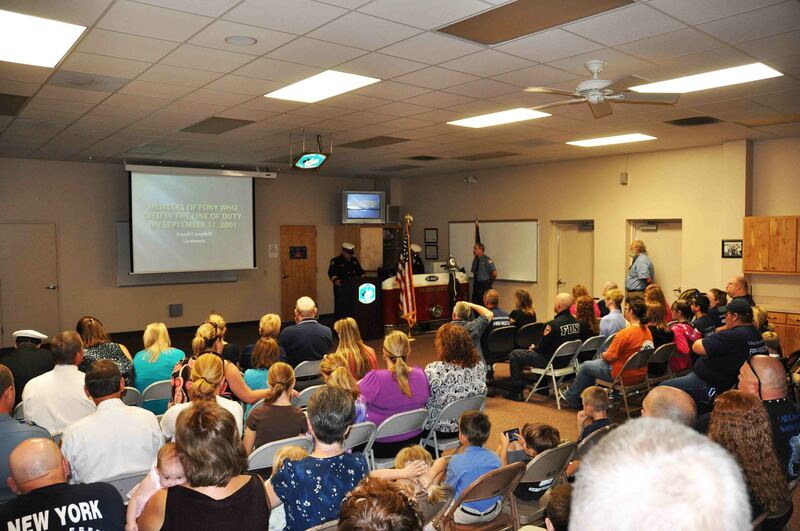 Mr. Fralix served as a volunteer firefighter with the St. George Fire Department. Please remember their family in your prayers. Colleton County Fire-Rescue joined fire departments across the country, conducting a remembrance ceremony of the Tenth Anniversary of the September 11, 2001 terrorist attacks on our nation which claimed the lives of 343 FDNY Firefighters, many police officers, EMS personnel and several thousand civilians. The coordinated attacks occurred in New York City, Shanksville, PA and Washington DC. Click here for more information. After some delay, Firefighter-Paramedics reached a man who received multiple traumatic injuries in a roll-over accident, Thursday afternoon 8-September at 15:07. Station # 9 was sent to McDanieltown Road just south of Peirce Road for an over-turned vehicle. They found the small SUV on its side. The vehicle appeared to have rolled over at least once. Click here for additional information. A 71 year old man was critically injured when the moped he was riding collided with a medium duty Freightliner Utility Truck. The accident occurred in the 2500 block of Jefferies Highway at 12:13 Thursday afternoon 08-September. The moped impacted the side of the utility truck causing the man to slide underneath the large vehicle. The truck drove over the man ....click here for additional information. An accident involving an oil lamp has sent one man to the Augusta Burn Center and caused damage to a mobile home. Fire-Rescue was notified of the incident at 20:19 Tuesday evening 6-September. Neighbors advised there was fire inside the residence. Engine 7 arrived a short time later noting smoke was coming from the front door and eaves, with fire visible through the front windows...click here for more information. 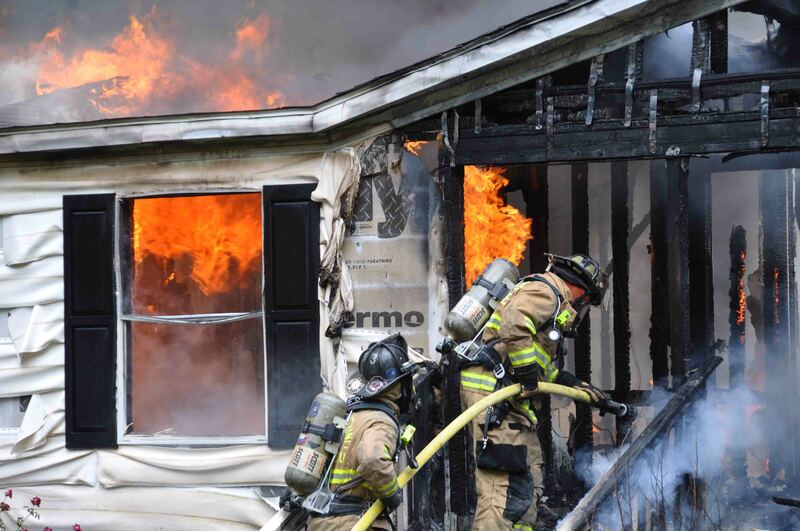 An early morning structure fire destroyed a Hyde Park home Tuesday morning 6-September. The fire was reported at 05:33 with the caller advising flames were visible through the roof. Engine 26 arrived 6 minutes later, to find a one story brick veneer residential structure 80% involved, with the roof burned away in the center of the home. The remainder of the roof was well involved. Click here for additional information. 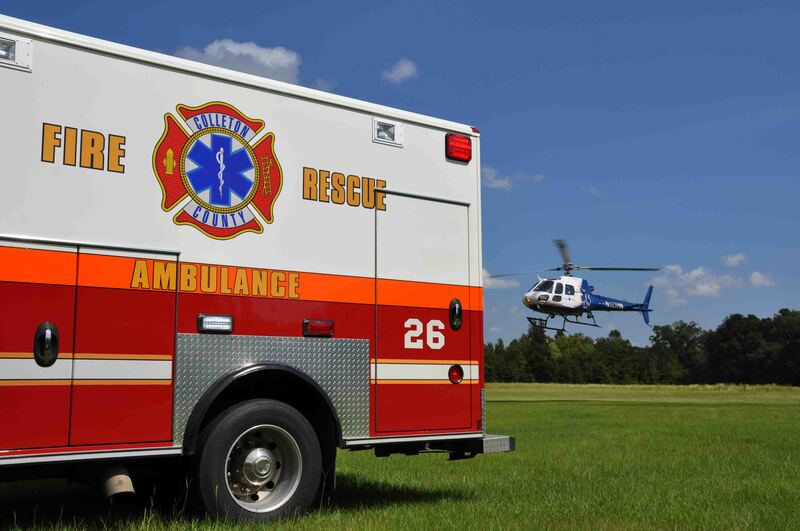 A 40 year old Goose Creek man received multiple traumatic injuries after falling from a moving pickup truck on Jefferies Highway (US Hwy 15) at 17:05 Monday afternoon 05-September. The man also suffered a head injury during the fall. 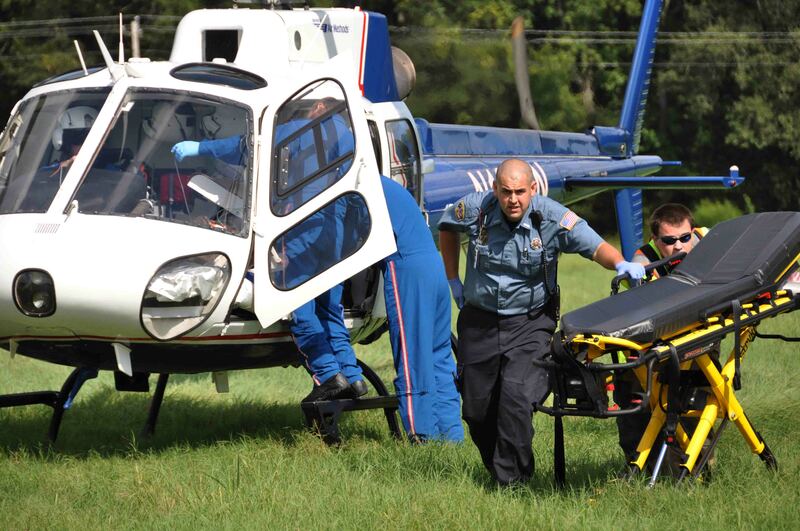 Firefighter-Paramedics treated the man at the scene and called for a medical helicopter. Due to his injuries, he was immobilized and RSIed to protect his airway. Click here for more info. A suspicious fire at a Round O Road home, destroyed the building Monday afternoon 05-September. Firefighters were notified of the incident at 13:25. The home was located in a rural area off of the roadway and the site was blocked by heavy woods obstructing the view from the road. Engine 19 arrived to find the doublewide mobile home fully involved. Click here for additional information. 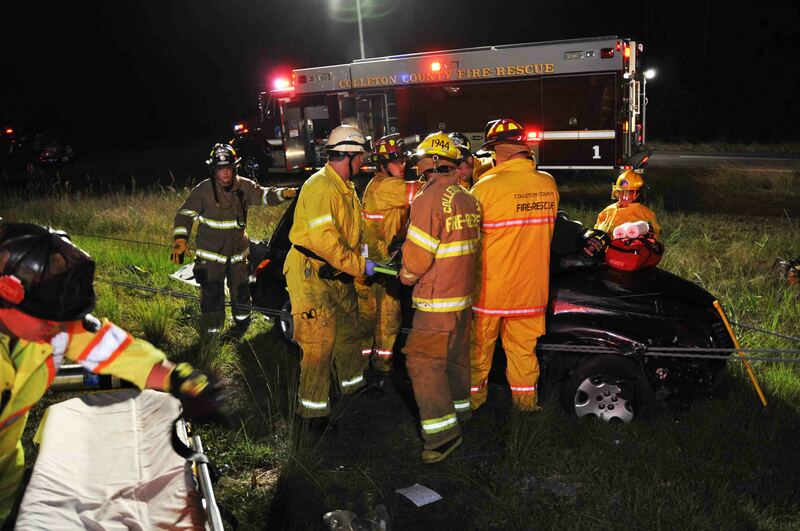 An early morning motor vehicle accident sent four people to the hospital Sunday morning 4-Sept at 03:52. A north bound Pontiac Grand Prix left the roadway near the 40 mile marker, went down an embankment and became airborne. Evidence at the scene indicated the vehicle flipped over in mid air before striking three oak trees approximately six feet off the ground. Click here for additional information. 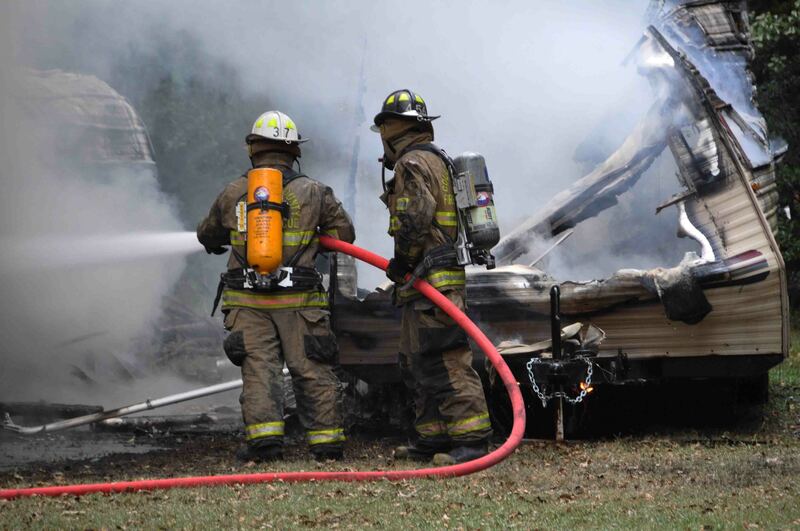 A morning house fire claimed the life of two dogs and resulted in two people being sent to the hospital. Fire-Rescue was notified of a house on fire at 494 Carolina Circle at 10:12 Friday, 02-September. Engine 19 arrived minutes later to find a single story brick veneer structure with flames visible through the roof on the “D” side of the building. Click here for additional information. Click here to view the press release regarding the upcoming September 11th remembrance ceremony being held at Station 19. Any Fire-Rescue personnel interested in participating in the ceremony should assemble at Station 19 no later than 09:15 on September 11, 2011. 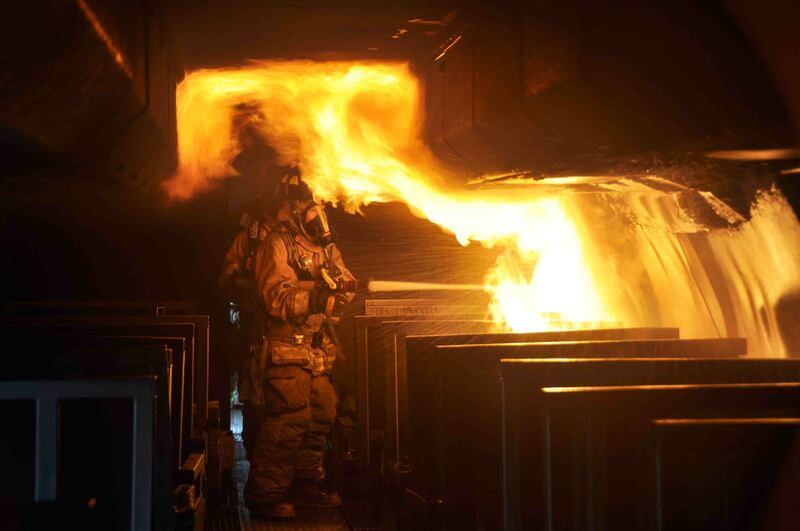 Click here for view a memo regarding implementation of a structure fire operations directive. Congratulations to Station 23 Captain Doug Mixson and his family who welcome a new addition. Eli Jeffery Mixson was born this morning at 02:54. He weighed 7 lb 12 oz. Both Mom and baby are doing great.